A gravel bed is an irrigated bed or pile of gravel to place and safely condition bare root or washed containerized stock for (a .k .a . “heeling in”) up to 3-6 months. Doing this dramatically increases fibrous root volume, decreasing transplant shock and increasing survivability of the plant. Since bare root stock is typically only available during spring, this also allows for staged plantings throughout the year. Gravel beds are not complex and have been used in the nursery trade for decades. It is simply contained hydrated gravel in which bare root trees are temporarily held. The SWCD currently has 2 gravel tree beds, both located in Becker, MN. 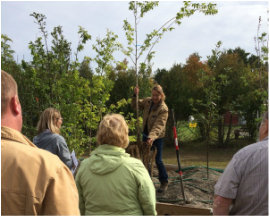 Trees from these beds are used to increase diversity in Sherburne County communities. 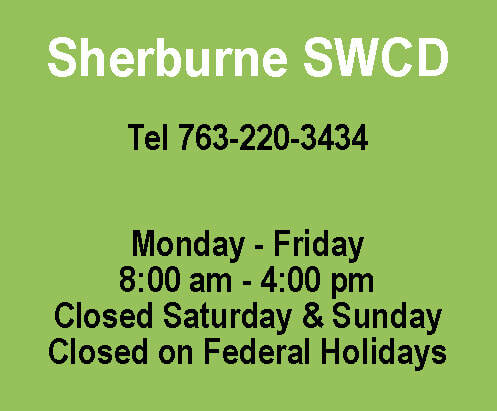 Several communities in Sherburne County have worked with the SWCD to preform a community tree survey. Volunteers in each community receive training and are equipped with tools and maps to complete the survey. Data is collected on every maintained, public and private tree within the city limits, including species, trunk diameter and crown diameter. This detailed inventory can be used to formulate effective management plans for tree care in each community. The inventory results will help guide future planting as the city strives to increase diversity. Presently, nearly half of the trees within the city are made up of only three tree genera: maple, ash and spruce. Understanding the tree population and its differing species will help managers prepare for possible catastrophic events. View community tree survey results here. 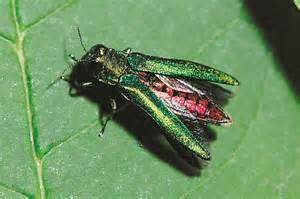 Emerald ash borer (EAB) is a devastating wood-boring tree pest that has killed millions of trees in the eastern and central U.S. While EAB is all but impossible to eradicate once it arrives in an area, well-planned response efforts can slow its spread and reduce the impact on community forests. A response plan is important because it provides a community with the opportunity to plan ahead to spread the costs and losses associated with the impacts of EAB. Additionally it provides options that best fit their specific needs, resources, structure and authorities. The SWCD has worked with Sherburne County Communities to create a tailored response plan for EAB. The template for this plan was modeled after plans developed by communities affected by EAB. A diverse community forest is far less susceptible to devastation by pest or disease that affects a single type of tree. 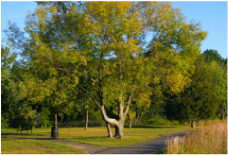 Selecting a wide variety of trees native to specific areas of Minnesota and providing proper care helps ensure that replacement trees will be strong and healthy, while reducing vulnerability to forest pest invaders in the future. 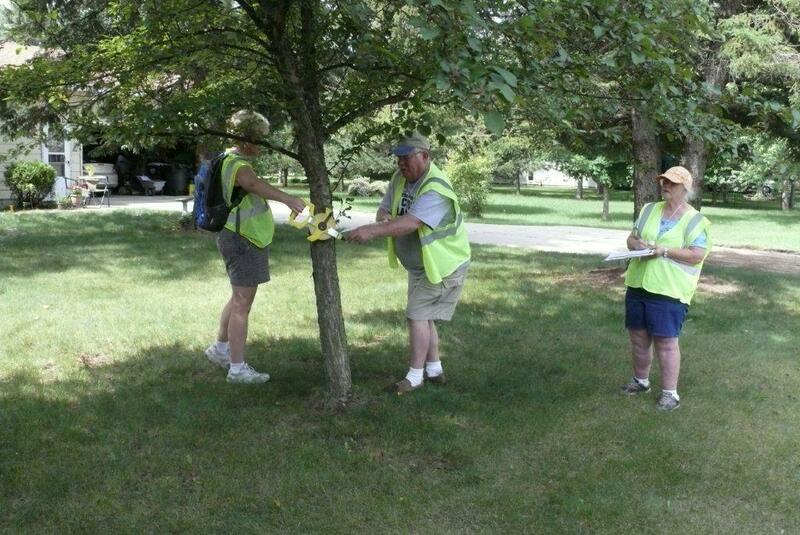 Communities increase their tree maintenance costs by planting only a few types of trees. The Sherburne County Urban Forestry Program was started in 2012, stimulated by the impending threat of the Emerald Ash Borer. Its is facilitated through the Sherburne SWCD and consists of a committee made up of representatives from cities of Elk River, Big Lake, Becker, Princeton and Zimmerman.